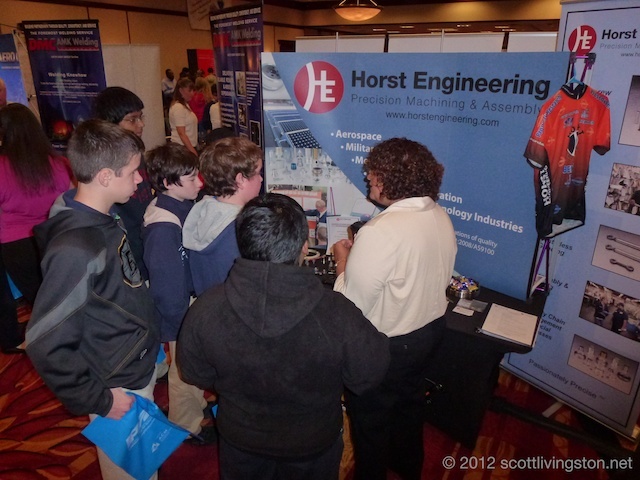 This week, Horst Engineering participated in the 2012 ACM Workforce Development Fair & Trade Show. On Wednesday morning, 53 of the 79 members of the Aerospace Components Manufacturers cluster came together to host more than 600 students and educators. The students came from many of the state’s middle schools, high schools, and technical schools. Our sales and human resource teams shared Horst Engineering’s enthusiasm for high precision manufacturing with this younger generation of future workers. These children are a key to the sustainability of our manufacturing economy. Technical manufacturing and engineering careers present huge opportunities and Connecticut is chock full of companies that need stronger candidates in the worker pipeline. 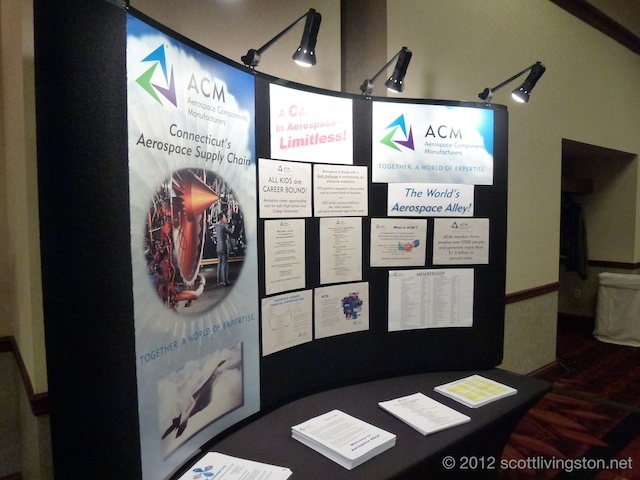 The afternoon session featured networking with our members of the ACM and customers visits. Many ACM companies rely on each other and millions of dollars are sourced between companies who trade products and services. Connecticut and Massachusetts are home to the strongest aerospace manufacturing clusters in the world. Our “Aerospace Alley” is unmatched. Virtually every process required can be obtained because the knowledge base is so deep. October is Manufacturing Month in Connecticut and our sector contributes 11% to the state economy. Nationally, the aerospace industry is the largest net exporter. The buzz at the trade show was strong and it is good to see high precision manufacturing on the rise again.